The fragment is central to Charles Rene Mackintosh’s work, it can be seen both in his drawings and in his use of stained glass windows. The installation draws on this history for inspiration. It seek to alter the way the observer views the billiard room through the use of multiple periscopes. 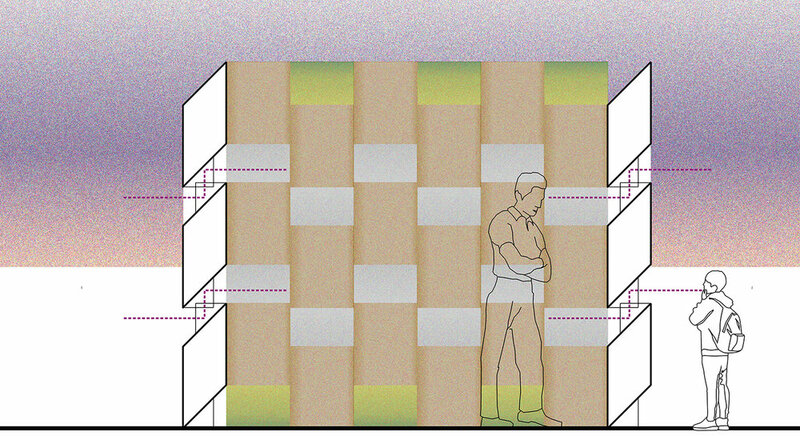 The periscopes are oriented in different ways to alter the observers perception of the space. The installation occupies space of the border around the historic now removed billiard table. The installation creates an intermediate wall allowing the both the experience of looking in and looking out multiplying the viewers perception of the room.